Asparagus is the first vegetable we have on our farm in the spring. It seems to appear over night...one day you walk by and nothing and the next, you've got a whole field of little spears standing tall. It's such a versatile vegetable: cooked, raw, with eggs, roasted, in ribbons, wrapped in bacon, in soup and in slaw! 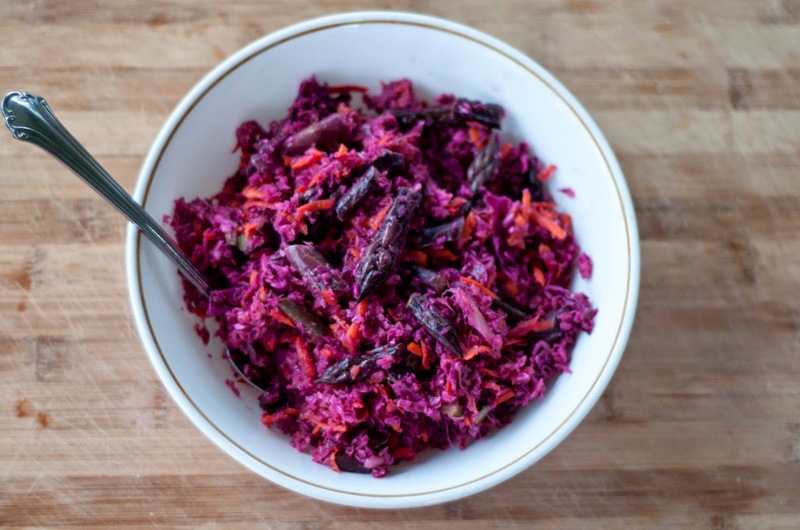 Here's my take on a really easy spring slaw. Slice your cabbage into manageable pieces (I usually do quarters) and using a grater, grate cabbage into fine pieces. Peel and grate carrot. For thick spears of asparagus slice in half length wise and slice again into fork-able pieces. For thin asparagus just slice into bite size pieces being sure to remove any of the tough bottom portion of the stalk. Add all vegetable ingredients to a large bowl. Measure olive oil and vinegar and give a good whisk. Pour over prepared vegetables and stir to combine. Add salt and pepper. 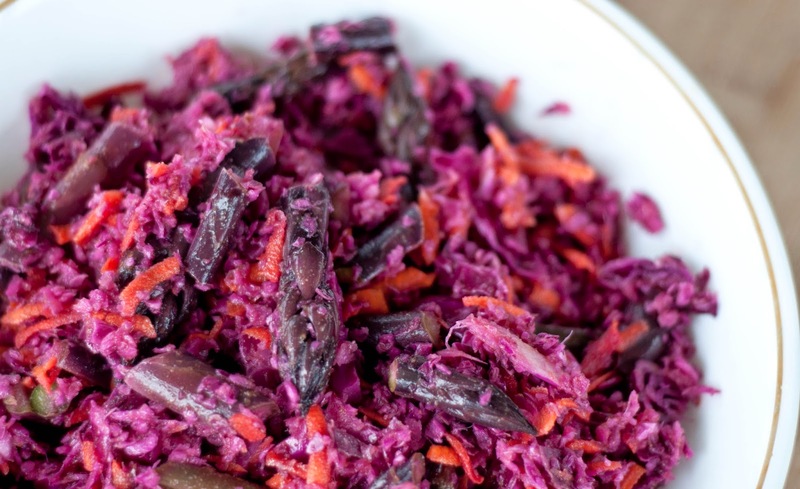 Slaw is always better if it has a little time to rest. Make 1 day head or at least allow a few hours before eating. Stir before serving.